Paul Foulger, Vice President, welcomed John and his family back to the club, after his recent absence. 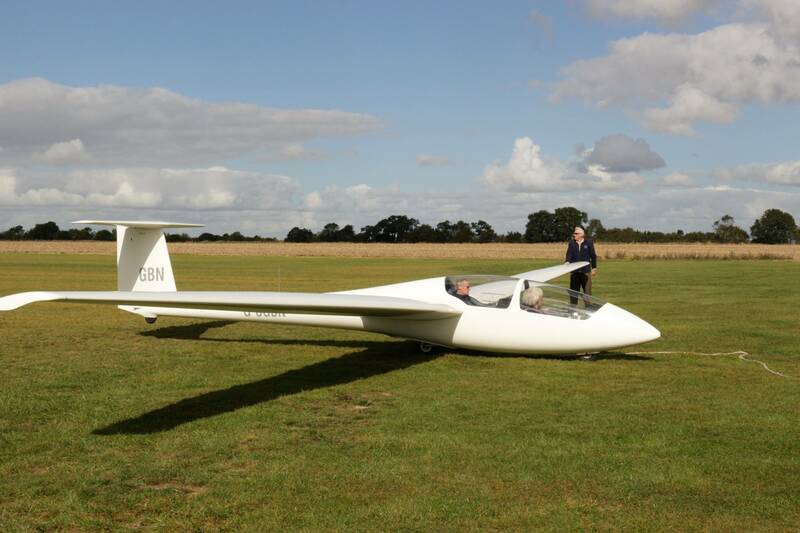 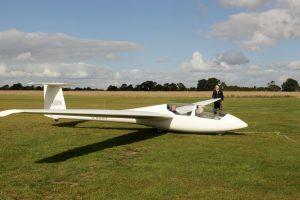 John had a flight with Angus Macdonald where he flew the glider, and showed that he had not lost his handling techniques. 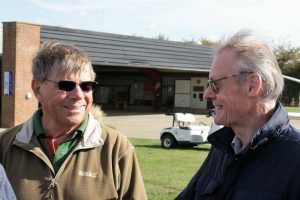 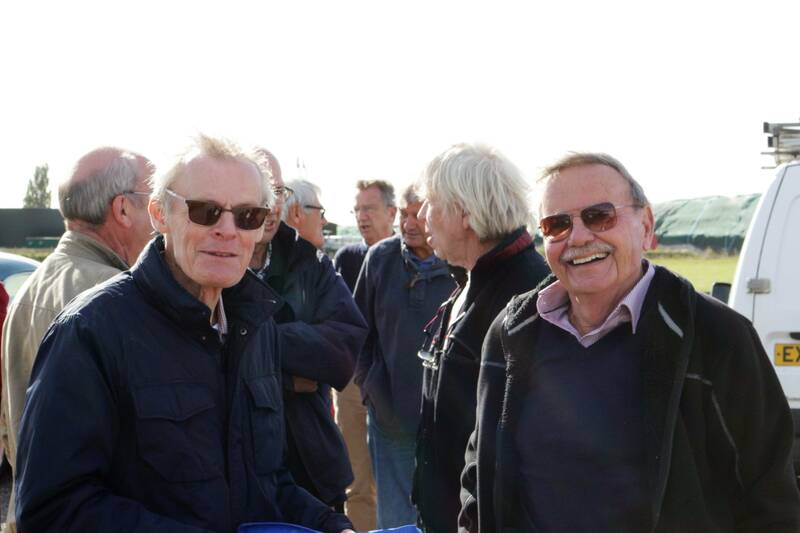 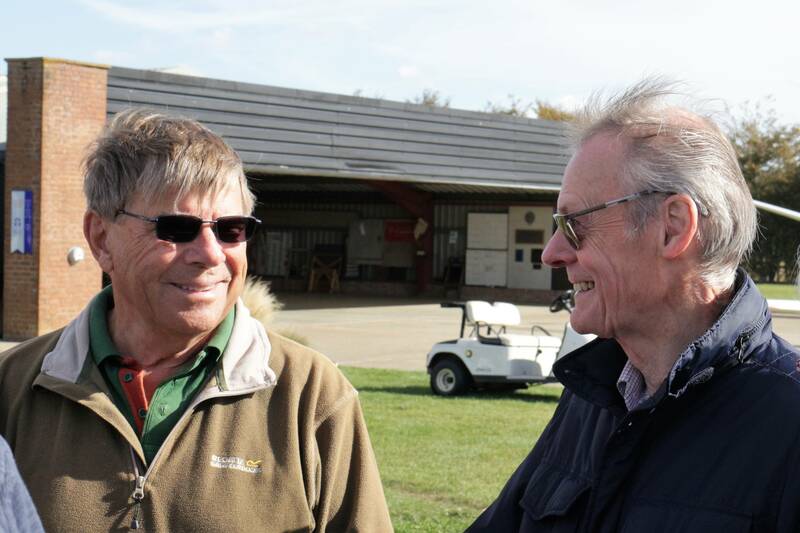 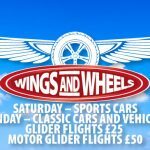 PF reiterated that it was good to see John in the air again and hoped that he would return on a more frequent basis in the future to partake of the sport that was his passion and meant so much to him. 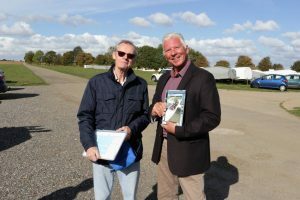 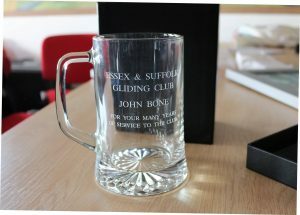 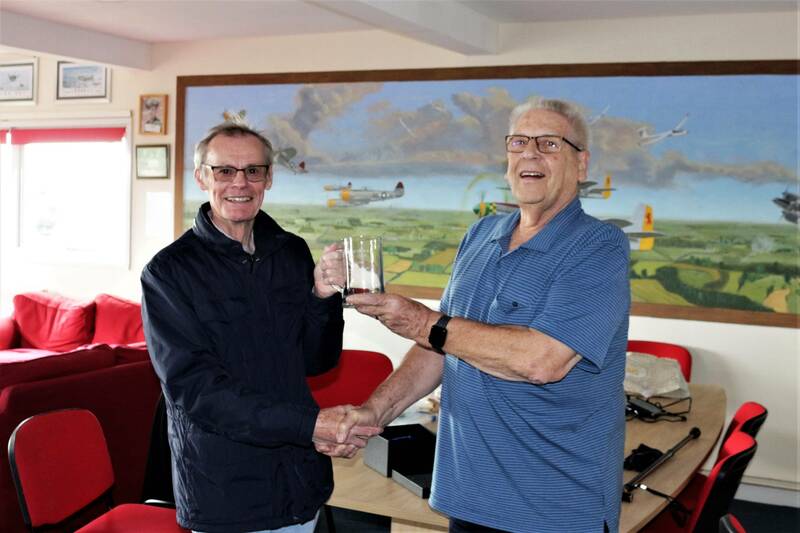 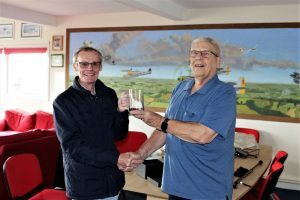 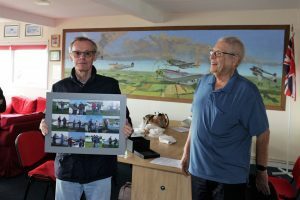 PF then read out some messages from absent members, and followed on by presenting John with an Inscribed Glass Tankard from the club, together with a collage of photographs, compiled by Colin Ebdon, of some of the pilots with John whom he had sent solo. 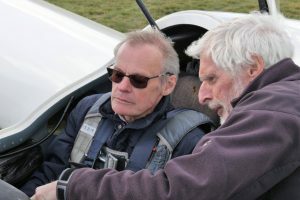 In reply John said that this visit to the club had given him a new focus in life and he promised that he will come to the club whenever he can and to fly when conditions allow.